North Korea's latest nuclear test is another example of US Democratic presidential nominee Hillary Clinton's calamitous diplomatic failures as secretary of state, Donald Trump Campaign Senior Communications Advisor Jason Miller said in a statement. The United States plans to work with the UN Security Council to respond to North Korea’s latest nuclear test, US Secretary of State John Kerry said in a statement on Friday. Relations between Berlin and Ankara have downgraded over the past years, due to certain differences between the two nations, German Foreign Minister Frank-Walter Steinmeier said Friday. Russian Deputy Foreign Minister Mikhail Bogdanov met with members of Syrian opposition groups in Moscow on Friday, the Russian Foreign Ministry said. 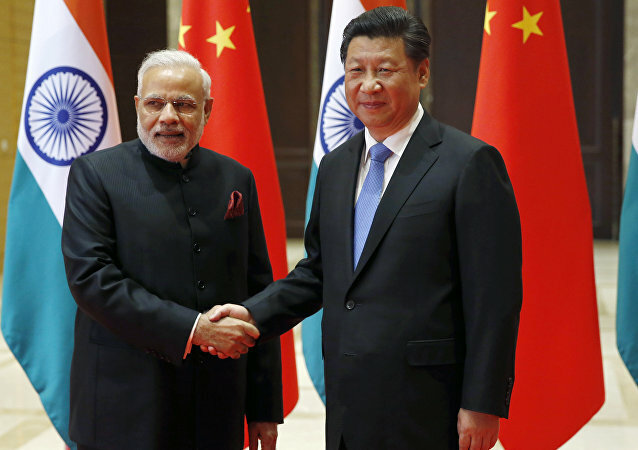 New Delhi stressed that India and China are enhancing mutual cooperation. On Friday, Southern European countries are taking part in a meeting in Athens to find a solution to the economic downturn and the austerity policy that has split the EU member states into two camps. Shortly after leading European countries announced suspension of the Trans-Atlantic Trade and Investment Partnership (TTIP) with the United States, Europe stood against a major deal deal with Canada. Many fear that the EU-Canada Comprehensive Economic and Trade Agreement (CETA) will include the same controversial provisions as the TTIP. It's Friday, the time of the week where we like to contemplate obscure, random things and today is no exception. On this closing chapter of the week we have decided to compare some of your favorite world leaders... to, (cue drum-roll!) - the kind of car that you think they would be if they had wheels, an engine and maybe a little bit of rust! The administration of US President Barack Obama remains open to consider legislation to renew the Iran Sanctions Act, but it has not yet received any specific bills to review, Deputy US Assistant Secretary of State for Iran Chris Backemeyer said on Friday. The UN secretary-general for Libya said that Russia is able to reconcile Libya's two rival governments. The decision on introducing the no-fly zone in northern Syria must be made by the UN Security Council, Turkish Foreign Minister Mevlut Cavusoglu said on Friday. 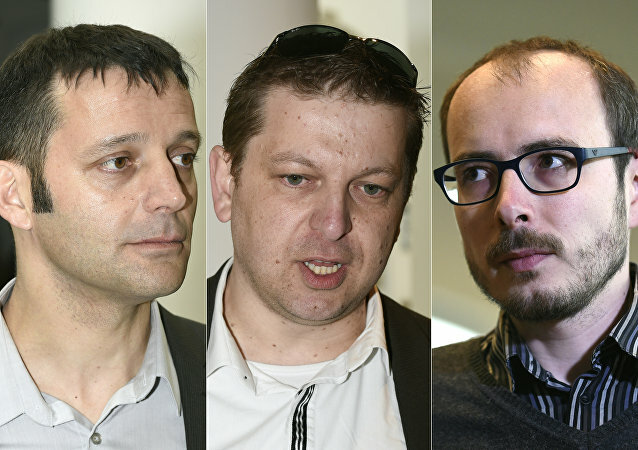 More than 100 Members of the European Parliament (MEPs) have called on the EU to fight and overturn the guilty verdicts received by two whistleblowers, who were given suspended sentences in Luxembourg, for revealing sweetheart tax deals granted to multinationals. 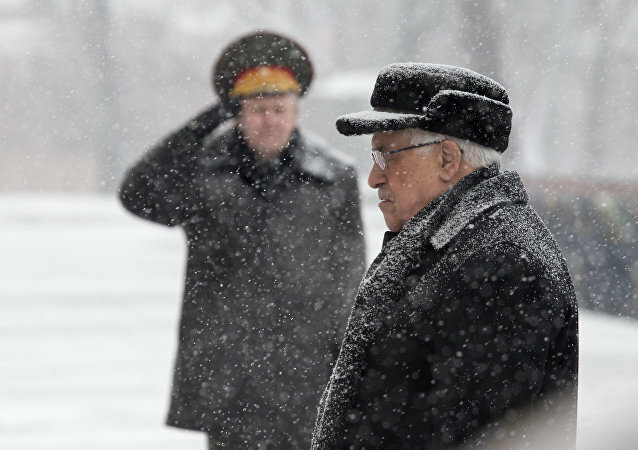 Western media have been making the most of the claim that Mahmoud Abbas, the President of the Palestinian Authority, was a KGB agent in Damascus in the 1980s. The news broke on Israel's Channel 1 and was reported by major media outlets globally. NATO is taking every effort to justify its raison d'etre. However, the Alliance's saber-rattling on Russia's doorstep is triggering deep concern and anxiety among its members. Although "the marriage of interests" still holds, cracks are appearing among the bloc's members. The United Nations Security Council must condemn the latest N.Korea’s nuclear test and to discuss future steps on the issue, Russia’s Permanent Representative to the United Nations Vitaly Churkin said Friday. Russia "fully understands" that if it does not fight against terrorists in Syria and Iraq, then tomorrow it will have to "catch them in the Moscow subway and other regions of the country," Hassan Shemshadi, an Iranian Radio and Television correspondent in Syria and Iraq, told Sputnik. The Syrian opposition’s High Negotiations Committee (HNC) hopes for a return to a full cessation of hostilities in Syria as a result of the ongoing talks between Russian Foreign Minister Sergei Lavrov and US State Secretary John Kerry, HNC spokeswoman Bassma Kodmani told Sputnik. NATO has build up its air forces, missile defense and naval presence in Turkey, NATO Secretary General Jens Stoltenberg said on Friday. Despite growing opposition within Germany to the controversial Transatlantic Trade and Investment Partnership (TTIP) being negotiated between the EU and the US, German Chancellor Angela Merkel has said she will fight to keep the talks on track.